It was our honor to be invited onto the “Atlanta Jazz & Blues Show”by Mr. Tom Carpenter in July. Thanks Tom for keeping an eye on us and bringing us into the fold with other great Atlanta talent appearing on your show. Now, I want to thank those for putting Jazz By Two on TV. Tom Carpenter, Joe LoRe’, George Spain of Tv47 and Tom Marnell photog at large – we’ve already expressed our appreciation for your expertise, direction, professionalism and humor that made this taping fun and successful. Worth mentioning again, thank you guys! More Breaking News! – August 2018 – Addition of Michael Ewbank – Jazz By Three is Born! Feb 14th 2018 – We are invited back for the 3rd time to Reunion Country Club -Valentines Day This is an elegant affair in the Golf Country Club in the beautiful setting of Hoschton, GA. Thanks again Meghan for the warm welcome back and being a great host. Feb 13th 2018 – June 21st 2018 – Our friends Marietta Country Club & Keli Owens have been really great to us this year. First a Fat Tuesday celebration and then a BBQ & Blues event for Marietta Rotary Club. Special shout out to Keli for mediating this between the club and Jazz By Three. Both were very successful and our pleasure to play the events. April 14th 2018 – TV 47 taping – This was the last studio performance for Tom Carpenters “Atlanta Jazz & Blues Show” with TV 47. You may have seen the sad news earlier in this post about owner Joe LoRé (click here for more). This was a great session and we got to christen our new project Jazz By Three with a TV Show. God Bless Mr. Joe. Current as of TODAY 8/17/18 – Copeland’s of New Orleans ( Kennesaw + Cumberland locations) – Jazz By Three made quite a splash when we premiered @ Copeland’s Brunch in February 18 of this year. They like us. We have been on semi rotation (both locations) there ever since. So, catch the NEW TRIO setup with Michael Ewbank on keyboards sometime at a Copeland’s SUN Brunch near you! Oh, and did I mention the food is great, too! We will send gig updates in our newsletter. Over the past years it has been our mission to enlist and bring to you some of the greatest musical talent in the Atlanta area. Beginning with A Sparkling Planet in 2006, it’s been a real pleasure working with the fine musicians we’ve been lucky enough to have in our group. Today we are launching a new side project under the name Jazz By Two. This was designed to bring an atmosphere and touch of class to a more intimate or semi-intimate crowd. The material is classic and modern jazz standards with a touch of pop and R&B. The duo consists of Jeff Andrew Simpson (Piano, sax, flute & vocals) and Billy Bryant (Drums, percussion & vocals). This is one GREAT SOUND! Let me tell you. We receive many comments about how full the sound is from two guys. At times you’ll swear you’re hearing a trio or quartet. (see videos) Through on-stage synchronized keyboards our sound is engineered, arranged and planned carefully as to showcase Mr.Simpson’s many talents on horns, piano and vocals. Jazz By Two is becoming wildly popular at wedding receptions, meet and greets, wineries, art gallery openings and private parties. Simply because the whole outfit has a small foot print, the price point is modest and great value for any event or venue. So, we can set up about anywhere and still stay in your budget! Don’t worry, we still do some of your favorite mood music, bebop and swing from A Sparkling Planet. But, the focus of Jazz By Two is to bring that velvet sophistication to your event. We do classic-standard jazz ( Frank Sinatra, Miles Davis and Duke Ellington ) and contemporary-modern jazz ( Pat Metheny, John Pizzarelli, Grover Washington, Jr.). For a little dance, throw in some tasty pop tunes ( Sting, Earth Wind & Fire, and Maroon 5 ) and you have a real party. We can tailor the show to fit your event. This could be just the right atmosphere and ambience you’ve been looking for. Jazz By Two boasts a big band sound (listen to audio clips) and is absolutely the BEST VAUE for your entertainment dollar. But, depending on the event, you may want (or need) to hire a larger group like a trio or a quartet. 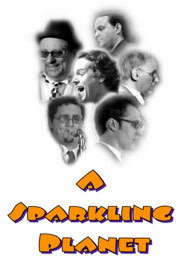 We can certainly accommodate that easily (as well as) a larger 5-6 piece band “A Sparkling Planet”. This would be more of a dance oriented event, maybe even a larger than 200 attendance crowd. So, make your event a successful one. Jazz By Two are professional and very easy to work with. (please see Reviews on the right column of this page). 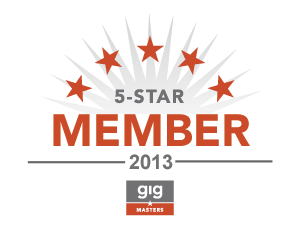 Experienced musicians and performers – we’ll take care of your entertainment needs so you dont have to worry. Please see our MEDIA page for live performances and musical clips. Our talent speaks for itself,but, please see our biographies ABOUT US page to read a little more about who we are. Get our beautiful classic / modern jazz and pop music set for your event today! Make your party an occasion people will remember and talk about for years -we’d love to help and be a part of that for you. Go to BOOKING page to contact us for any questions or to get a quote – we do almost any event so call or email us today!